Tomato soup. Put the vegetable stock cubes into a pan and pour 1.5L water and add all the ingredients. Cook for about 10 to 15 minutes, until the carrots have softened but still holding their shape. Leave to cool a little and use a hand blender to process until smooth. Sweet potatoes. Put the vegetable stock cubes into a pan and pour 1l water and add all the ingredients. Cook for 10 minutes until the vegetables and soft. Leave to cool a little and use a hand blender to process until smooth. 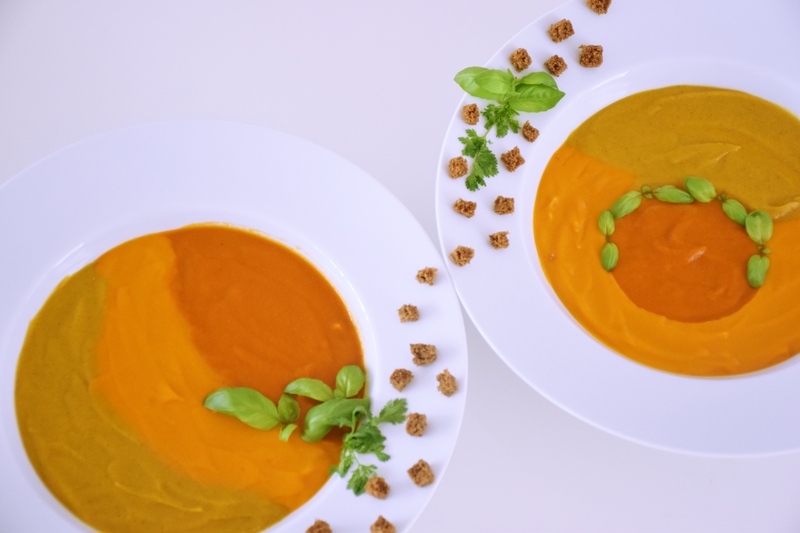 Carrots soup. Put the vegetable stock cubes into a pan and pour 1.2l water and add all the ingredients. Cook for 10 minutes until the vegetables and soft. Leave to cool a little and use a hand blender to process until smooth. Enjoy !! !